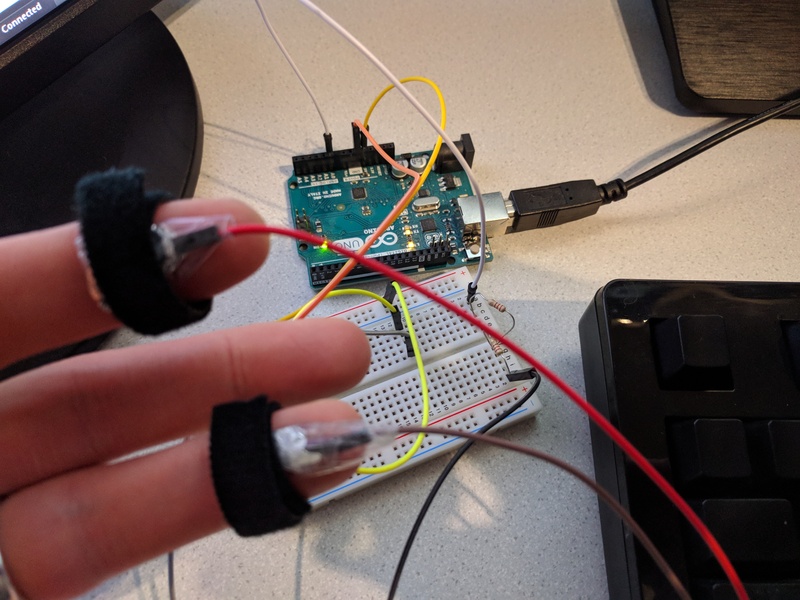 Recently, I have looked into how to measure electrodermal activity (EDA) using an Arduino board. A traditional theory of EDA states, that it varies with the skin changes of sweat glands, thus altering the electrical resistance. EDA is modulated as outcome of cognitive processes, emotions, and general human behavior. The traditional mechanic to measure EDA is straigt-forward: By inducing voltages through one electrode, an electrical output is measured using a second electrode. The higher the measured value is, the higher the EDA is. 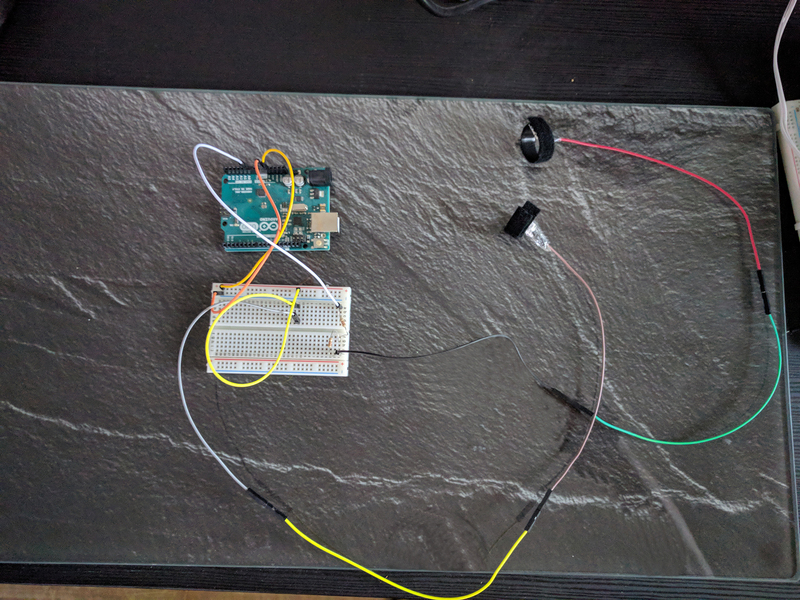 Connect one cable from the 5V output of the Arduino to a sensor. To construct a sensor, connect a jumper cable to a piece of wrapped aluminium foil. Wrap it around the Velcro tape, which will serve as a retainer for the fingers. Construct a second sensor, which is connected to the breadboard through two 220 resistors. Finally, connect a jumper cable to A0 on the Arduino board. While one sensor induces electrical voltages, the other one measures the remaining arriving electrical potential. Upload the Arduino software and run the processing software. You should get a graph visualizing you current EDA. You can modify the sensitivity of measured changes regarding the EDA by removing or changing the inserted resistors. 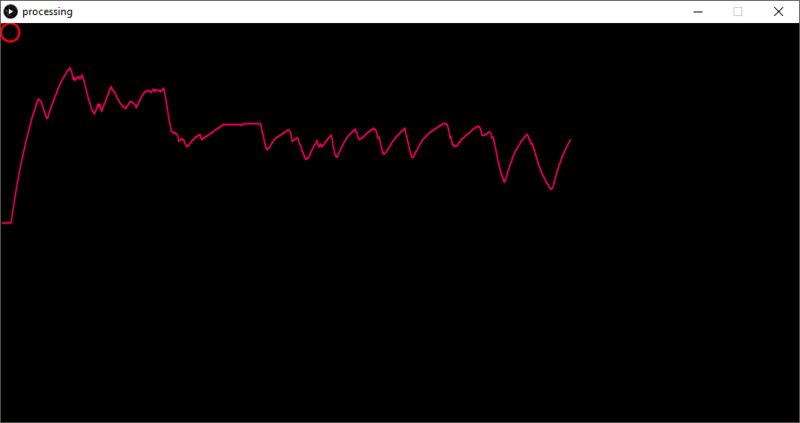 Try to understand how different resistances modify the measured values.